Brett Kelly, assistant professor in the School's Division of Pharmacy Professional Development, brings his background as a managed care pharmacist with extensive leadership experience to mentor PharmD students like Jalen McMartin (DPH-2) in the Leadership Certificate and Mentor Program. Pharmacists are the most accessible members of the health care team and practice in a multitude of clinical settings. They need to be able to communicate and lead diverse groups of people that include patients, health care teams, and care givers in order to achieve positive patient outcomes. Developing leadership skills can help pharmacists become better providers and patient advocates. “Every pharmacist faces situational leadership challenges daily in their practice. Leadership training is not just for those pursuing administrative roles within a corporation or health care system,” says Karen Kopacek, associate dean of Academic Affairs and Alumni Relations and associate professor in the Pharmacy Practice Division at the University of Wisconsin–Madison School of Pharmacy. “It is critical that student pharmacists develop leadership skills to be effective members of interprofessional health care teams,” she adds. 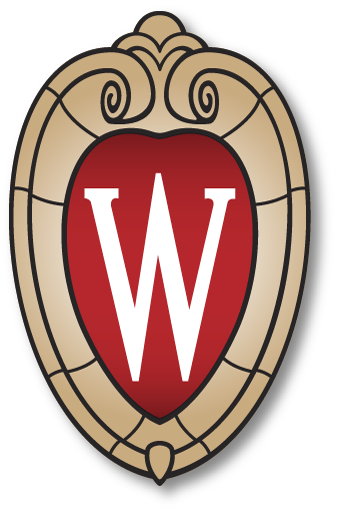 PharmD students at the UW–Madison School of Pharmacy can develop leadership skills through an innovative new program. To help PharmD students develop their communication and leadership skills, the UW–Madison School of Pharmacy has established a new non-credit Leadership Certificate and Mentor (LCM) program. Students can apply to LCM in their first year and participate for the rest of their four-year PharmD program. “The Pharmacy Leadership Certificate and Mentor program is an incredible new development from the School of Pharmacy that brings together pharmacy students with pharmacists who are leaders in the pharmacy field,” says Miranda Kozlicki (DPH-2), a second-year PharmD student in the LCM program. This is the first year of the LCM program, which has been recognized by the university for its customized integration of the UW–Madison Leadership Framework into a School of Pharmacy non-credit certificate program. A working group from the School of Pharmacy collaborated with the UW–Madison Center for Leadership and Involvement to develop this innovative leadership program, which cultivates students’ leadership skills through a course, targeted activities, specific self-reflection questions, community service opportunities, and leadership conference opportunities, as well as a mentoring relationship that connects students and practicing pharmacist mentors. Students take a class during their first year of the PharmD program and sign up for certificate requirements and mentorship at the end of their first year. The course in the spring semester in the first year is designed to introduce PharmD students to leadership concepts, competencies, and values, as well as soft skills, leadership models and their application to health care, strategies to communicate and resolve conflict, professionalism, and personal branding. Additionally, students are introduced to self-reflection through application of various leadership situations they have experienced. The course serves as the foundation for concepts and skills that can be applied to various activities as the students move through the PharmD curriculum. “A unique component of the program includes intentionally matching student leadership development with mentorship and reflection,” says Ed Portillo, assistant faculty associate in the Pharmacy Practice Division at the School of Pharmacy, who helped spearhead the initiative as LCM program coordinator. 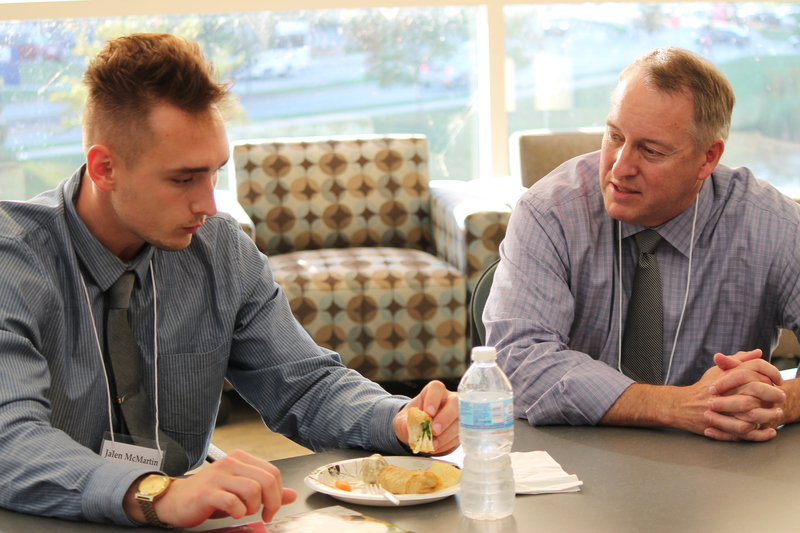 More than 30 pharmacy leaders are volunteering as mentors to PharmD students at the UW–Madison School of Pharmacy. “Students reflect with a mentor on how they can be better, what they are doing well, and moving forward as a future leader, what they need to improve upon. When you have someone experienced and successful, it adds another dimension,” he explains. From the student perspective, the reflection component is highly valued. Erik Burns, assistant professor and chair of the School of Pharmacy’s Division of Pharmacy Professional Development, cites the program’s unique combination of coursework and practical experiences, which evolved from the working group’s focus on the School of Pharmacy’s student population when creating the program. The mentorship component goes hand-in-hand with the leadership certification. Practicing pharmacists are able to model the ways in which they incorporate the leadership framework into their personal and professional lives, guiding student pharmacists by example. The mentorship program aims to match PharmD students with highly effective leaders who have strong values and command respect. Currently, there are 33 volunteer pharmacist mentors working with 33 DPH-2 students. “The LCM program’s emphasis on formal mentoring is very distinctive among leadership programs,” says Portillo. Mentors agree to work with one PharmD student for three years, and teams meet once per semester but can meet more often if they so choose. Aaron Steffenhagen (PharmD ’01) is a clinical pharmacy manager for UW Health University Hospital and volunteers as a LCM mentor because he recognizes the importance of leadership skills in the profession. Students are responsible for completing pre-meeting activities, reaching out to their mentors to coordinate meetings, and bringing an agenda with specific discussion activities to each meeting. Karen Kopacek (right), associate dean of Academic Affairs and Alumni Relations and associate professor in the Pharmacy Practice Division, speaks with two PharmD students in the Leadership Certificate and Mentor program. Education graduate student Katie Beister rounded out the group. During the program development phase, the working group looked at ways to make the experience unique for PharmD students and solicited feedback directly from students. They spoke with students about what pharmacy students would want in a leadership program and conducted a focus group on different types of programming. The majority of the LCM program takes place outside the classroom, so students are doing it on their own time. Portillo says that the program is running smoothly in its inaugural year. Going forward, the LCM program will have support for coordinating mentor and mentee matches from the School of Pharmacy’s Division of Pharmacy Professional Development (DPPD). “We have a two-year longitudinal assessment of the LCM program that we’re completing so we’ll get more data, but the qualitative feedback from students has been very positive,” he says. For many PharmD students, there is confidence that the new program is already beneficial to their professional development. “This longitudinal program has and will continue to help me grow in my leadership and networking skills, so that I can become a successful pharmacist and an even better leader,” Kozlicki says. To apply to become a pharmacist mentor, submit this short form.